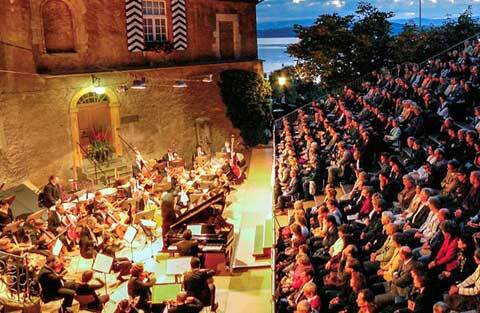 The more than 30 concerts of the Murten Classic festival feature mainly classical music for symphonic and chamber orchestras. Some of the music is specially composed for the Murten Classic festival. Some events are open air, other happen in churches. A majority of them take place in the Castle of Murten / Morat centrally located at the entrance of the old town.